Third year Lower Elementary East students practiced their Asian Folktale performance before they perform next week for Chinese New Year! 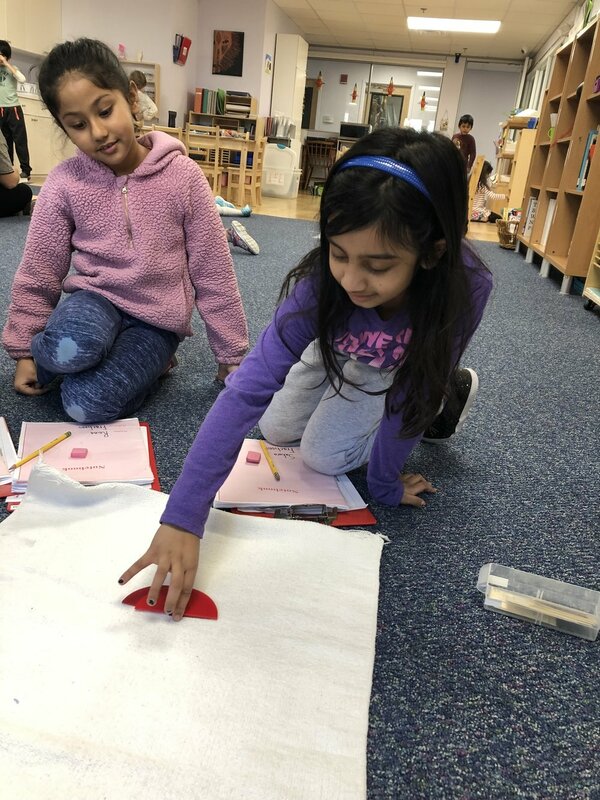 Second year Lower Elementary East students took their Fractions studies to a deeper level by exploring their relationships and patterns through equivalencies. 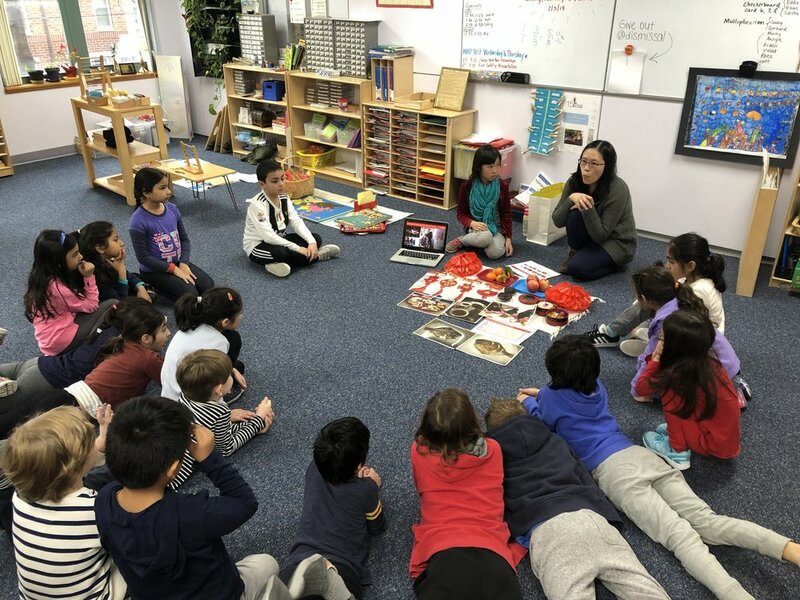 To celebrate the Chinese New Year, a class parent came in to share a presentation about the history of the holiday. The students also learned about the Chinese language and cut out the symbol for Spring, which happens to be symmetrical! 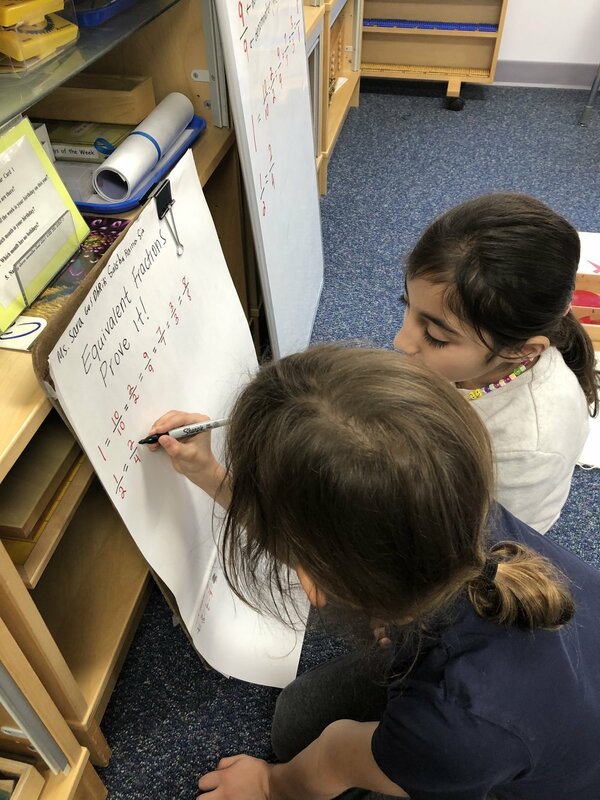 Lower Elementary East students worked on a variety of Montessori Math lessons this week!